Packaging Details: 10pcs in plastic case,and then packed in a carton. 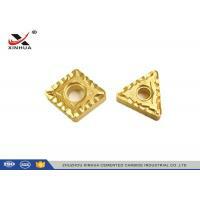 • The material will harden when machined at high speed. • Chucking and rigidity of the workpiece is extremely important to minimize distortion, to achieve a good finish and close tolerance. 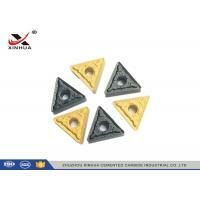 Roughing or Finishing:Finishing or Precision Cutting;Medium Cutting;Medium to Heavy Cutting. 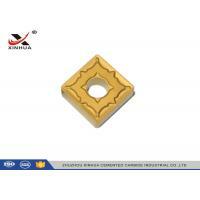 DF Chip-breaker with special angle design can make cut easy,control chip and get good surface quality. 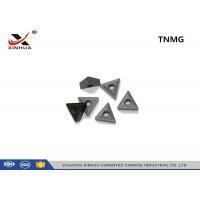 DM Widely used chip-breaker is used for semi-finishing and finishing machining steel and stainless steel. 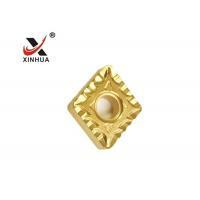 DR Special chip-breaker with high toughness cutting edge can reduce cutting force. PM With stronger cutting edge,it is better for intermittent cutting than -DM,with widely cutting zone of P type material. HF With sharp cutting edge,used for finishing machining inner hole,fine finishing surface can be got with small feed rate. 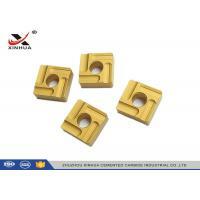 HM With sharp wave cutting edge to reduce cutting force,it is the first choice for semi-finishing machining of inner holes and can make chip flow smoothly. 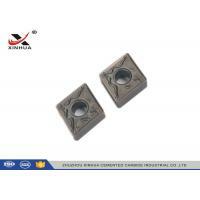 HR With tough cutting edge,used for roughing/machining of inner hole and intermittent machining workpiece with irregular surface. 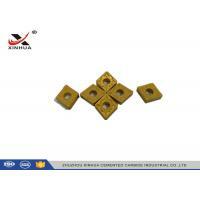 LH Mainly recommended for finish turning,Typical parts: Ordinary aluminum parts. 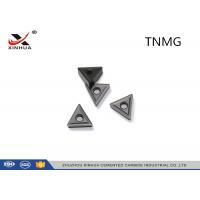 Founded in 1989, Zhuzhou Xinhua Cemented Carbide Industrial CO.,LTD, is a professional manufacturer of tungsten carbide cutting tools. 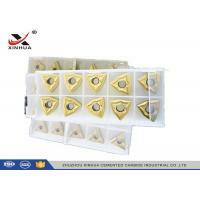 Located in the biggest carbide production and export base of Zhuzhou, China. 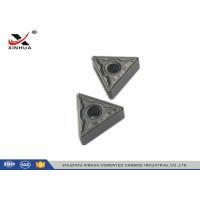 Xinhua specializes in research and development, manufacture and sales of cemented carbide cutting inserts including turning inserts, milling inserts, Aluminum inserts, cermet inserts, grooving inserts and customized inserts. We have strong design team and has passed the ISO9001 certification of Quality Management System. In order to make sure the quality of our series products always stands at the front of the industry, we have established collaboration relationships with many outstanding suppliers. In last 29 years, with the experience of designing and manufacturing CNC cutting inserts increased, we achieved high speed development and could provide a complete set of supporting scheme for required products for our customers. In accordance with the principle "Quality First, Service Supreme", we have established long- term business relationships with customers from South America, Europe, Middle East and Southeast Asia.